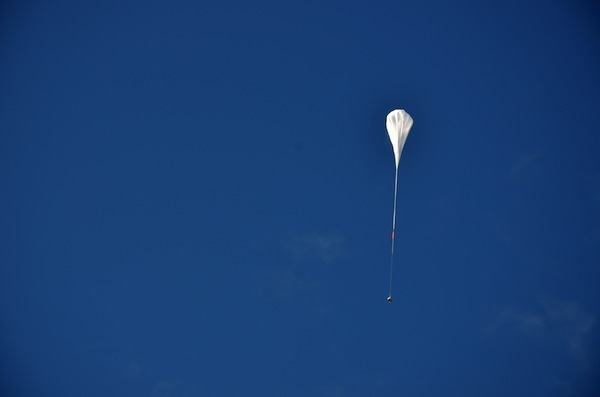 NASA engineers launched a giant helium balloon into the upper fringes of the atmosphere Saturday to test technologies that could lead to future landings of larger rovers on the surface of Mars. 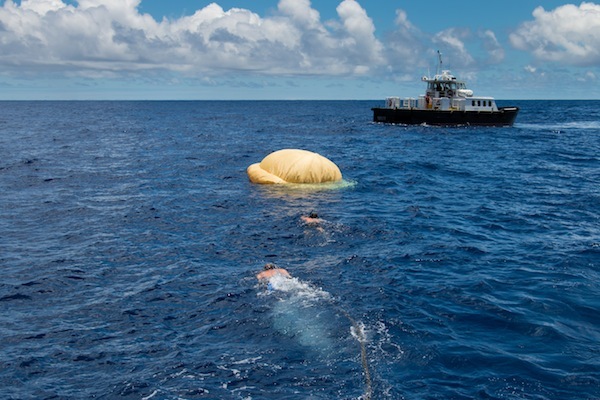 The balloon took off from the U.S. Navy Pacific Missile Range on Kauai, Hawaii, and reached an altitude of 120,000 feet a couple of hours later. 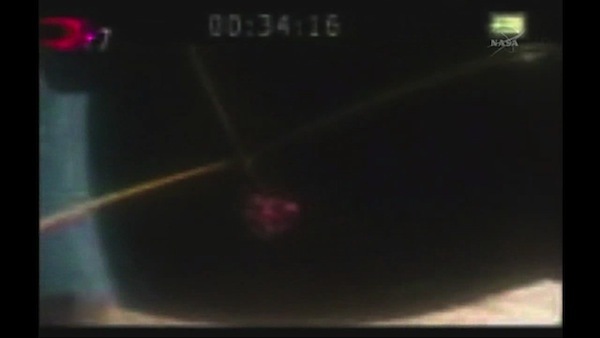 Then the balloon released NASA's Low-Density Supersonic Decelerator, a saucer-shaped test vehicle fitted with a rocket motor to propel the testbed to a velocity four times the speed of sound to mimic the conditions space probes encounter when they enter the Martian atmosphere. 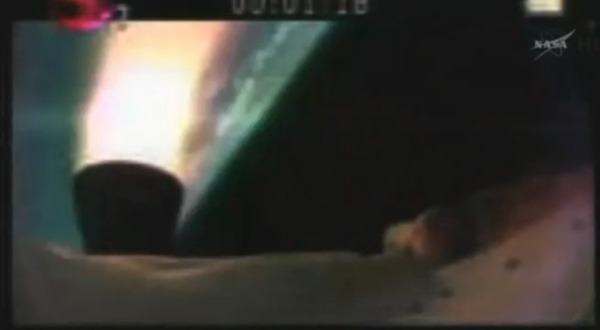 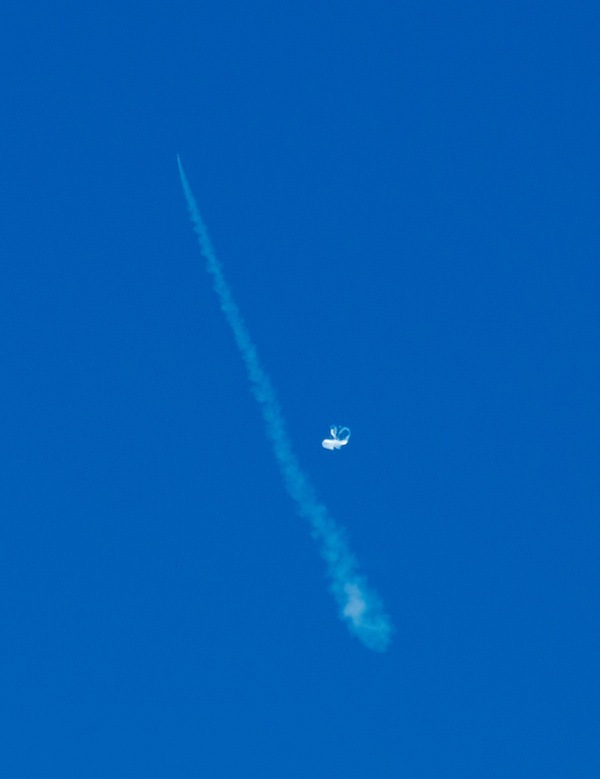 The craft inflated a novel braking system as designed, but a new supersonic parachute spanning about 100 feet in diameter did not completely deploy. 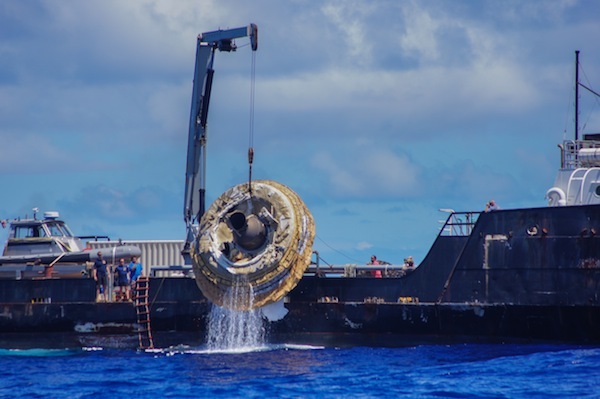 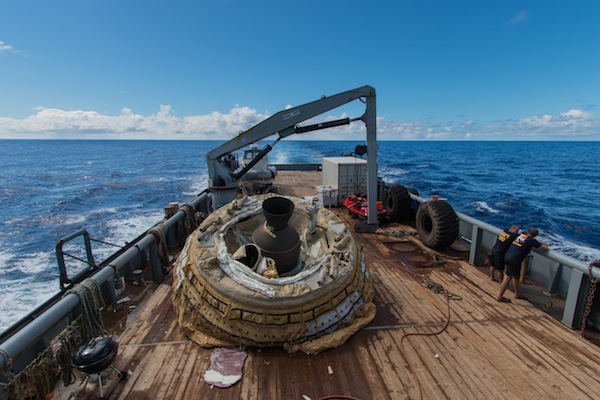 The testbed was supposed to gently descend into the Pacific Ocean under the chute, but the partially-deployed parachute slowed the craft's fall enough for recovery teams to retrieve the vehicle intact. 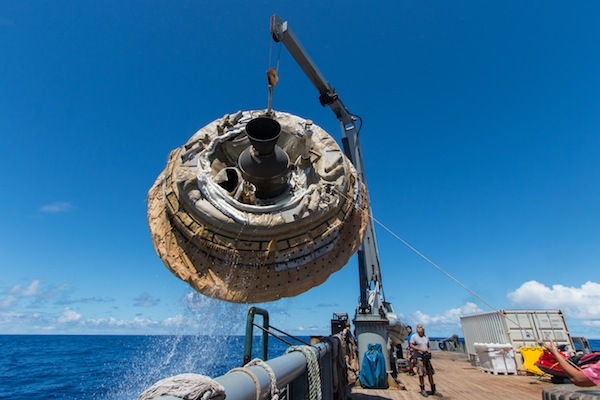 NASA officials deemed the flight a success because it accomplished its primary objectives, which were to demonstrate the balloon launch system and the use of an off-the-shelf rocket motor.